Informacinė raida visit in the exhibition "TOC Europe 2016"
June 14-15, 2016, the repersentatives of Informacinė raida visited exhibition "TOC Europe 2016" in Hamburg, Germany. 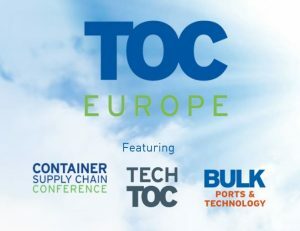 TOC Europe is the global meeting place for ports, terminals, shipping lines, 3PLs and shippers. The exhibition is a showcase for port and terminal technology and operations and the conference focuses on collaboration within the container supply chain. Lot of valuable information about market situation and tendencies was collected participating in TOC TECH and BULK seminars, discussing with exhibitors and visitors.